Apart from gorgeous tiles, our rich selection includes beautiful stretch ceiling designs that will add that special decorative touch to any space. Sprinkle around some luxury with amazing shapes and effects that can make any room look absolutely stunning. Special designs like 3D effects and shapes, backlit surfaces, starry sky designs and wall murals can transform any residential or commercial area into a breathtaking sight. With our stretch ceilings, you can turn your rooms into an inspiring dash of creativity that will last you a long time. Stretch ceilings are not only beautiful, they’re also a highly durable solution to all your ceiling needs. 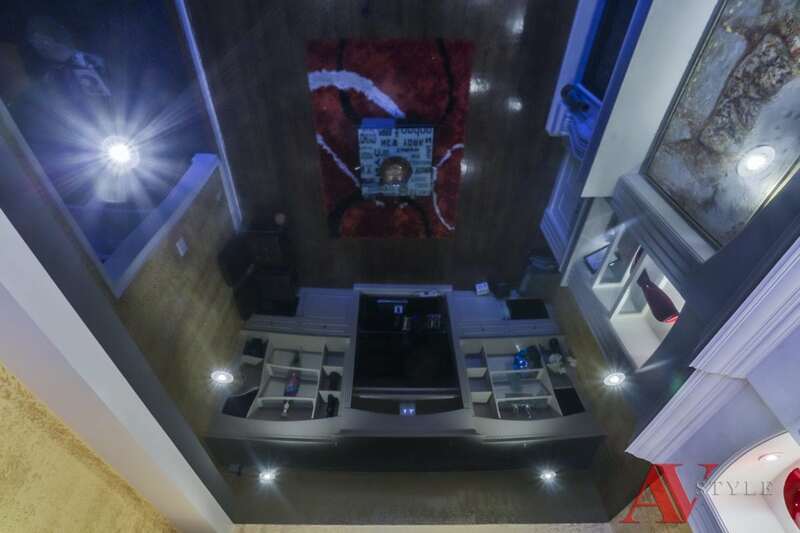 The best thing of all is that stretch ceilings offer so many options for customization. Our wide selection of patterns and designs will surely match any of your needs. Add some depth to that boring kitchen ceiling of yours, or let the starry sky design take you into a different dimension. To all of us at Talissa Decor, your ceiling is like an enormous canvas, waiting to become a work of art! Let’s create art together! inspired and want to get started?